Building A Stone Fireplace . . . Think Outside The (Fire)Box! thing from temples to tombs. 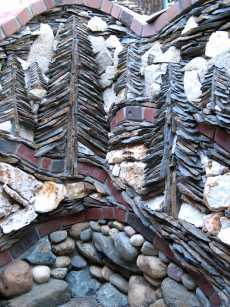 Why not look at other architectural and sculptural elements for exciting ideas when building a stone fireplace? One that is truly unique. One that reflects both your individuality and your personality! 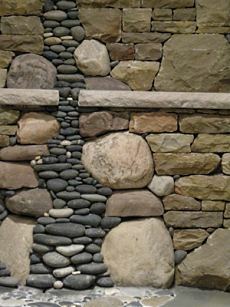 tional sources of inspiration for building a stone fireplace that you may have not previously considered! sources, this age-old art form is making a comeback with a new generation of enthusiasts! 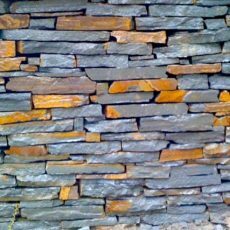 The four close-up images that follow provide just a small sampling of dry stone walls and what is possible when building a stone fireplace. 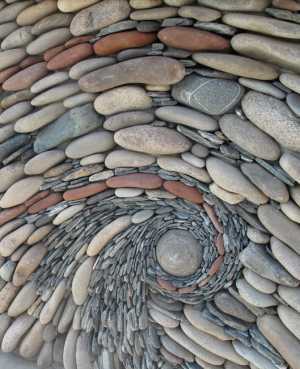 Note the dramatic differences in type, size, shape, color, texture, and pattern in the placement or arrangement of the stones. The potential combinations are virtually limitless! 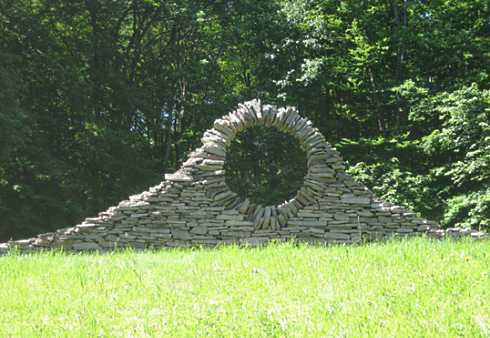 Pictured below, left (Photo Credit: Royston Vasey), is a striking dry stone wall by British artist and sculptor, Andy Goldsworthy. 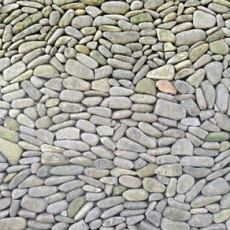 The intricate stone wall pictured below, right, is located in Bali. The beautiful stone walls pictured in the close-ups below were created by British stone masonry company, Riverdale Stone. Both very colorful, the design on the right boasts an unusual herringbone pattern. 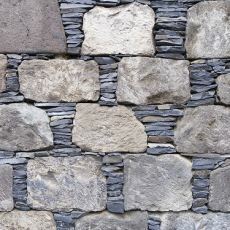 Each of the four dry stone wall designs pictured above could readily be worked into a fireplace mantel and/or overmantel design -- in whole or in part -- or any combination thereof. With a little imagination and creativity, countless design schemes for building a stone fireplace can be created by incorporating any one of the stone wall designs pictured above! ual example and overall perspective of one of many possibilities for creating a truly unique stone fireplace. 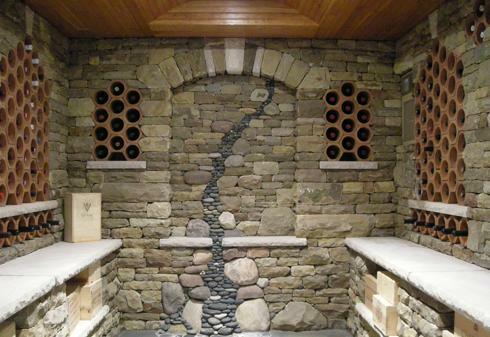 Crafted by master stone mason Chuck Eblacker of Eblacker & Stone, based in Rochester, New York, USA, it is the focal point of a wine cellar . . . except, perhaps, for the wine itself! See one of Eblacker & Stone's Dry Stone Outdoor Fireplaces! 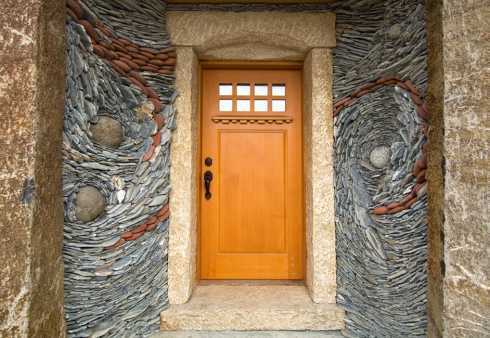 da Mountains in California, USA, he derives his inspiration from nature and the wildlife that abounds around him. sents mountains, sky and clouds. 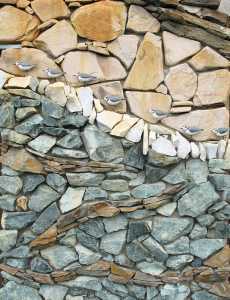 Pictured below is another section of the same stone wall mural. 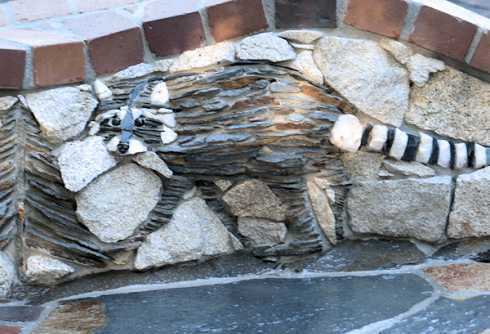 Crafted from the materials referenced above, in addition to slate, it features a raccoon walking along a streambed. dition to your fireplace design! 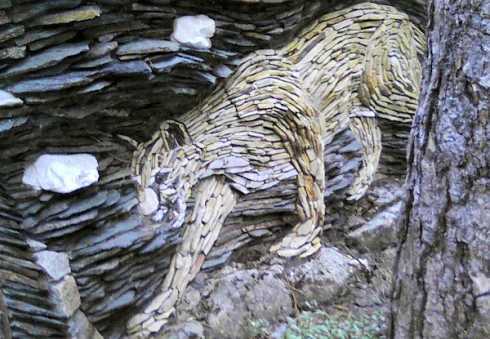 The majestic mountain lion mural pictured below was created with ledger stone, quartz, limestone and granite. 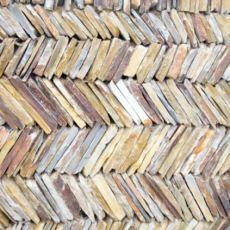 Though part of an outdoor stone wall, it would make a dramatic overmantel above your fireplace! To see more of Robert Pierson's unusually creative work, please view the six minute video that follows. Please check back often or subscribe to our RSS feed, as we fre- quently add creative and exciting ideas for building a stone fireplace to our website.